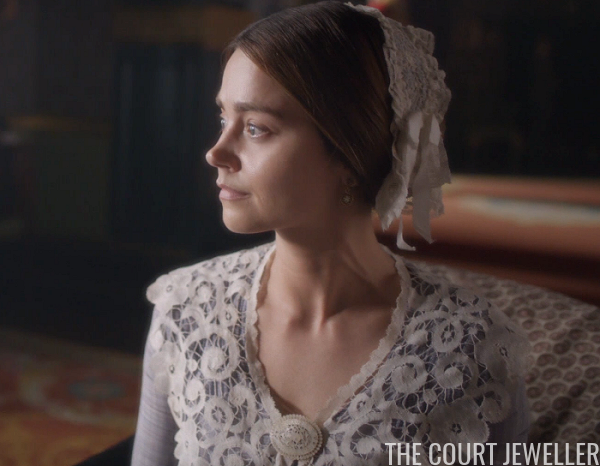 This week's episode of Victoria wasn't exactly a jewelry jubilee. 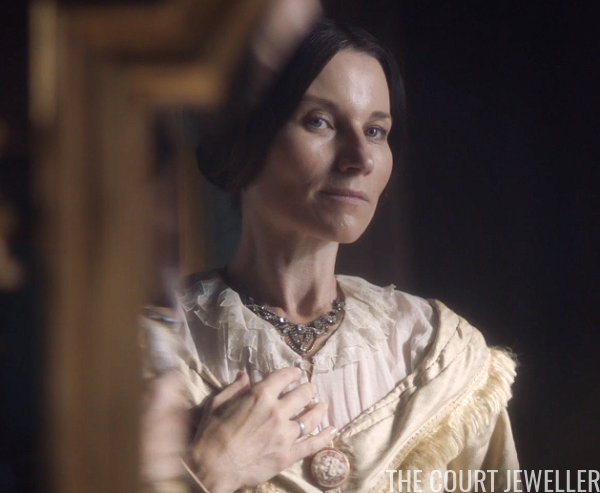 With the birth of Princess Louise, and a plot that revolved around whether or not the Chartists were going to try to hurt the Queen (spoiler -- they weren't), there was little room for grand jewelry. ...and this swan brooch, paired here with a weird necklace featuring some seed pearl drops. ...and these pearl drop earrings and interesting brooch as she fretted about it on the Isle of Wight. 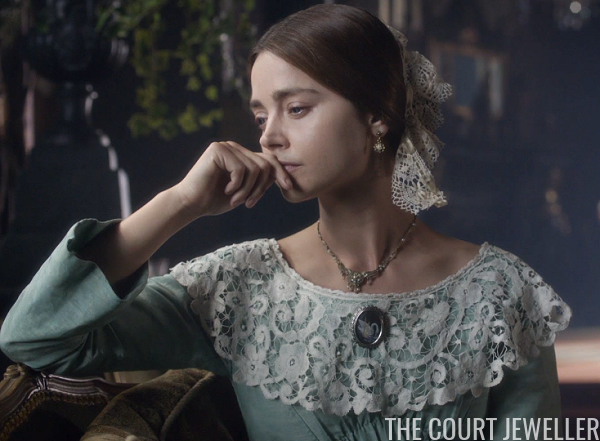 We also got a brooch from the (still fictional) Sophie Monmouth. 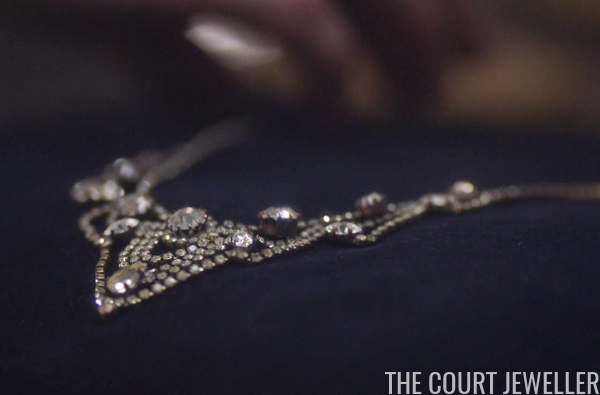 The star of the jewelry show in this episode was really Princess Feodora. Can't figure out quite what they're trying to do with her, but you can all probably guess that the depiction of her character is pretty far from reality. 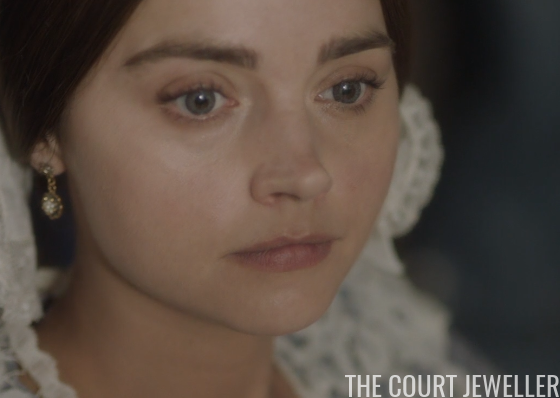 (It is Victoria, after all!) 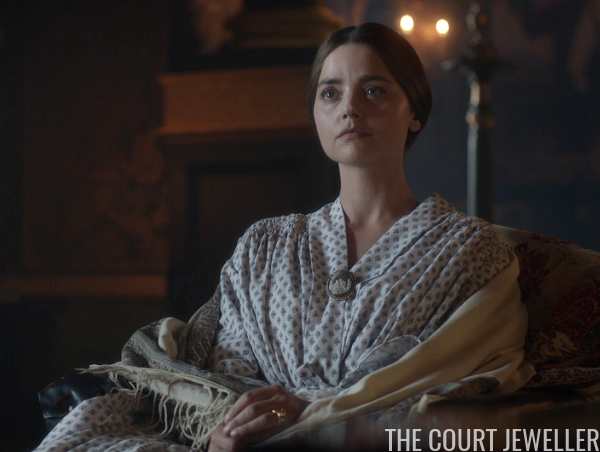 Here, she's in evening jewels as she rushes in while Victoria is giving birth. 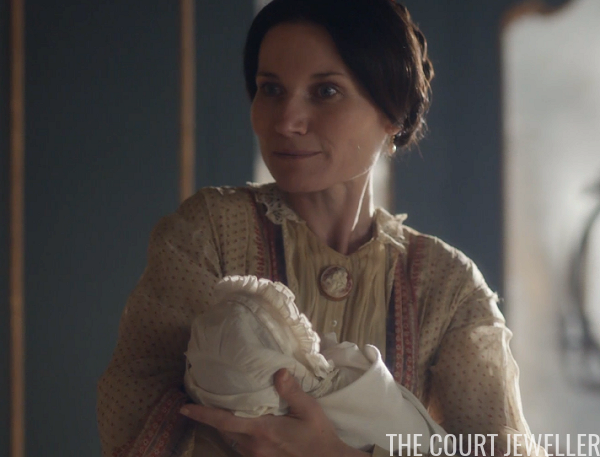 And here, she's in a brooch and pearls as she meets her new niece. 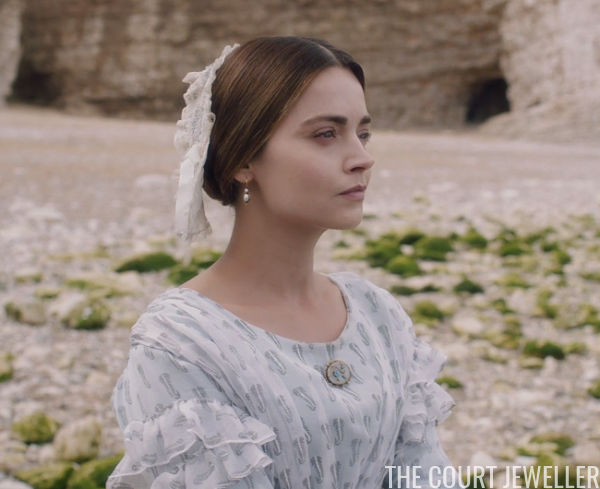 The episode did give us one jewelry close-up, thought it was sadly of this production-invented necklace from Victoria's jewelry box. 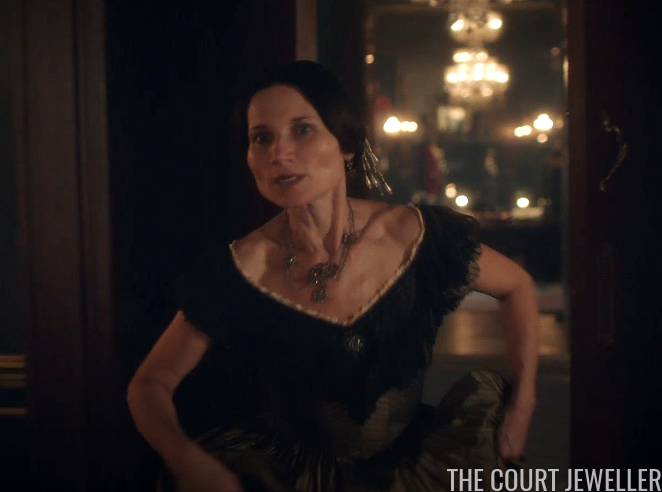 But instead of Victoria reaching for the necklace, it was Feodora. Honestly, Feo, have at it. 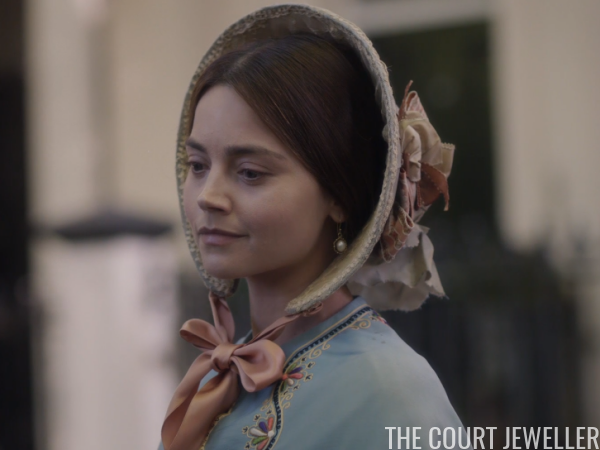 Maybe then Victoria will grab some replicas of genuine royal jewels instead!